In February of 1992, Patrick Kinder (now Fr. Patrick Kinder) returned to his home town of Madison after working for two years as Youth Director of an Antiochian Orthodox church in Akron, Ohio. Patrick, a seminary graduate of the Antiochian Archdiocese, came back to Madison and served the Assumption Greek Orthodox Church, the church of his childhood and at that time the only Orthodox Church in Madison. Later that year two young men studying at the University of Wisconsin, asked Patrick to help start a discussion group about Eastern Orthodox Christianity. After several months of regular meetings this “inquirer’s” group began to attract members of, and visitors to, the Greek Orthodox church. The outreach of the inquirer’s group was successful, especially in its ability to communicate the teachings of the Orthodox Faith to individuals who were often visiting an Orthodox church for the first time. A need for this kind of effort was becoming more apparent. 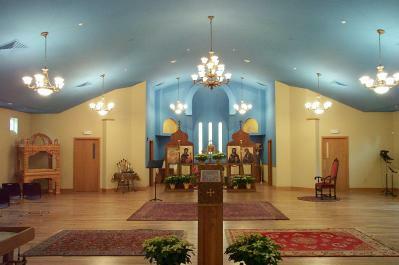 Many meetings were held in the homes of the inquirer’s group and at the Assumption Greek Orthodox Church. The topic of starting a second Orthodox church in Madison arose in 1995 in conversations with the V. Rev. Fr. Peter Gillquist, head of the Department of Missions and Evangelism of the Antiochian Archdiocese. The “Mission” proposal was made to the core members of the inquirer’s group in the fall of 1995. The group had never considered this as an option. It was through prayer and careful consideration that the group decided to accept the challenge of being “called out” of the Greek Orthodox community for this purpose. By the early Spring of 1996, with the recommendation of Fr. 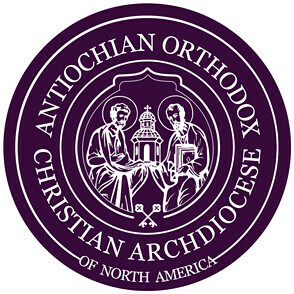 Gillquist, the blessing of Metropolitan PHILIP Saliba, Archbishop of the Antiochian Archdiocese, and the loving support of Fr. Joseph Tzougros of Assumption Greek Orthodox Church in Madison, the decision was made to start an Antiochian Mission in Madison. 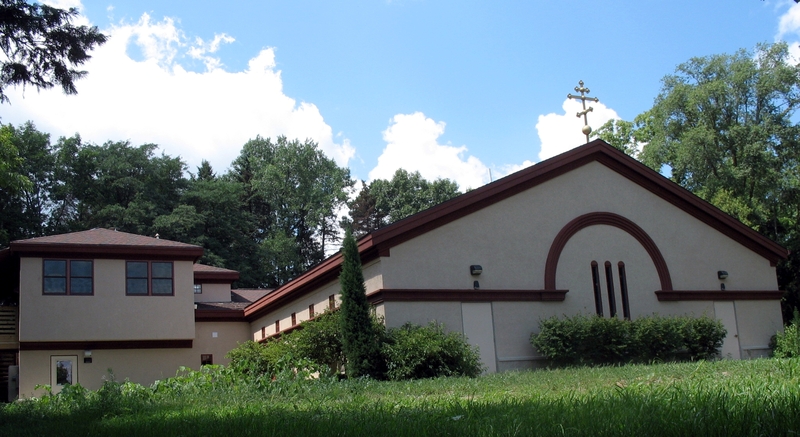 St. Ignatius Mission was established in November of 1996 with 20 men, women and children to further the presence of Orthodoxy in the greater Madison area. Patrick was married in June of 1996, ordained to the Diaconate on October 13th and elevated to the priesthood on November 24, 1996. 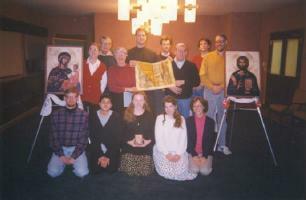 St. Ignatius Mission celebrated its first Divine Liturgy in St. Joseph’s Chapel at Edgewood College on December 1, 1996. Edgewood College generously allowed us to continue to use their chapel and other rooms on campus to hold worship services and meetings. In the Fall of 1999 the college began a large construction project, and it was not possible for us to use the facility any longer. 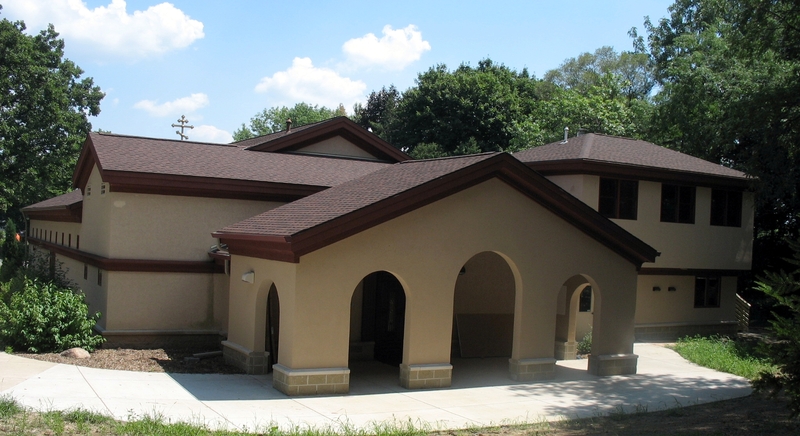 St. Ignatius then began renting space at Eagle School in Fitchburg, where services were held until November of 2004. In the fall of 2000, with the blessing of His Emminence Metropolitan Philip, St. Ignatius Mission acquired 2.7 acres of land in the suburb of Fitchburg, just minutes from downtown Madison. Shortly thereafter, we began working with an Orthodox architect, Pat Mangan (of Sister Bay, WI) to design a church true to Orthodox Tradition. The result is a three-phased Master Plan that allows us to begin with a modest multi-purpose structure and, God willing, eventually grow into a fully completed church building. In December of 2003, St. Ignatius held an outdoor service to bless the land in preparation for the beginning of construction of the first phase of the project. Construction began in May of 2004, and was completed six months later. Today, 19 years since celebrating our first Divine Liturgy, we have grown to over 100 members as a vibrant and loving spiritual community, and by the grace of God we now have a permanent home for our community. In 2004, Saint Ignatius Mission became reclassified by the Archdiocese as Saint Ignatius Church. Through God’s abundant providence and guidance, the steadfast dedication of the members of our community, and through the great generosity of friends of Saint Ignatius Church, we have been able to retire our land debt and pay off two thirds of our building. Now that Saint Ignatius has a permanent home, we expect that it will attract more inquirers and that our community will be able to more effectively to provide a place of rest in our Lord. In September of 2011 construction was completed of an expanded kitchen along with a second floor for education and meeting space. A portico covering of our main entry was also added to protect the main doors and the people as they enter and leave the building in times of inclement weather. We are very thankful for this addition which will thoroughly serve the needs of the growing congregation of St. Ignatius. On Saturday August 1st, St. Ignatius Church begins a new chapter in its history. Father Basil Koory has been assigned as the new pastor of Saint Ignatius. Welcome to Father Basil and his family! May God grant you many years serving Him as pastor, and may He also grant Father Patrick Kinder and family many years serving His Holy Church.